It's been an interesting couple of weeks for the Boss. First he admitted he messed up [sold out?] by signing a deal with Walmart to sell his album. Then he knocks out a cameraman with his crotch while performing at the Super Bowl. And now he is in trouble with the law. Well sort of anyway and he is pissed about it. A New Jersey congressman is demanding an investigation after Bruce Springsteen fans were unable to buy tickets from Ticketmaster's Web site -- which then promptly offered them more expensive tickets from a subsidiary. U.S. Rep. Bill Pascrell of Paterson wants the Federal Trade Commission and Justice Department to investigate possible conflicts of interest involving Ticketmaster and a ticket reseller it owns, TicketsNow. When tickets for Springsteen's Meadowlands show went on sale Monday, some fans got an error message on their computer screen that shut them out from buying tickets. A TicketsNow ad offered tickets for hundreds of dollars more than face value. A Ticketmaster spokesman says only a few fans reported problems. That is good news because the Boss is scheduled to begin his tour in San Jose on April 1. Springsteen said Wednesday that he is angry with Ticketmaster and believes its selling practices constitute a conflict of interest. 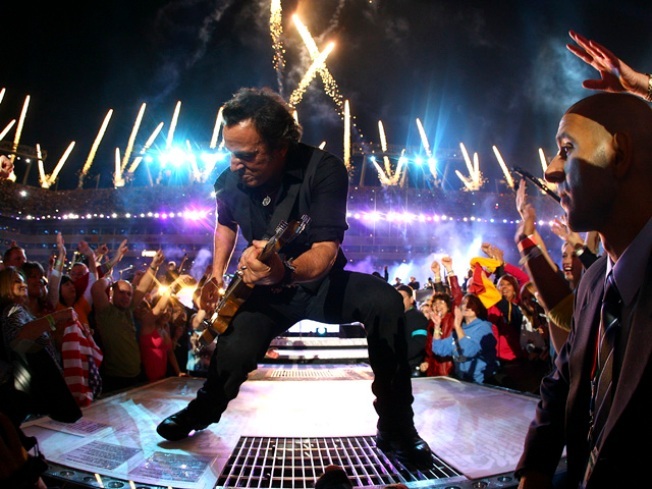 Springsteen said on his Web site Wednesday that he and the E Street Band are "furious." "We perceive this as a pure conflict of interest," the band said. "Ticketmaster is there to ensure that we have a good, fair sale of our tickets at their face value plus normal ticketing charges." TicketsNow allows people who have tickets to exchange, trade or sell them at marked-up prices. The band said it has received assurances from Ticketmaster that it will stop redirecting Springsteen fans to TicketsNow. The snub to Springsteen fans on Monday prompted Pascrell to call on the Federal Trade Commission and Justice Department to investigate possible conflicts of interest involving Ticketmaster and TicketsNow. The New Jersey attorney general's office is also investigating whether Ticketmaster has violated any consumer fraud or ticket resale laws. Ticketmaster Entertainment CEO Irving Azoff issued a statement Wednesday apologizing to the band and its fans. "While we were genuinely trying to do the right thing for fans in providing more choices when the tickets they requested from the primary on-sale were not available, we clearly missed the mark," the statement said. "Fans are confused and angry, which is the opposite of what we hoped to accomplish. We sincerely apologize to Bruce, his organization and, above all, his fans." Azoff said the company had taken down all links for Springsteen shows directing fans from Ticketmaster to TicketsNow. On Tuesday, a company spokesman said only a few fans reported problems. But state attorney general's spokesman David Wald said the office has received more than 250 complaints since Monday. Heather Dunham, of Great Meadows, said she and about a dozen of her friends were among those who tried to buy tickets when they went on sale Monday. "The Web site just kept throwing us all off, telling you it was down for routine maintenance. That's the same message we got routinely for the better part of an hour," she said. "Then it started redirecting us to the premium ticket site," where prices were double. "It was outrageous," said Dunham, who has previously purchased Springsteen tickets from Ticketmaster. "It's corporate greed at its worst."